Epstein Design Studio is a full service landscape architecture firm specializing in unique and highly customized places for restoration, relaxation, and play. The firm is committed to an evidence-based practice of garden design and improving health outcomes. All gardens are not inherently therapeutic, and some in fact can actually cause harm. Healing involves the restoration of wholeness, and includes the physical, emotional, social, and spiritual aspects of human experience. Our design process is grounded in applying the latest human-environment research in order to create places that are beneficial to to the individual's well-being. Recognizing the high cost and competing interests of capital project funds, Epstein Design Studio is committed to the cost effective inclusion of nature, and maximizing return on investment. We regularly collaborate with architects, engineers, scientists, and planners - both as project lead and in support roles - allowing us to provide our clients with a high level of technical expertise and a full range of landscape architecture and land use planning services. We stay engaged, listen carefully, and respond promptly. 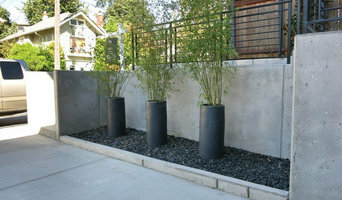 Landscape design and consulting in the Seattle metropolitan area. The Salish Seed works alongside property owners and landscape contractors to build long-term functional, horticultural and ecological fitness into residential and small commercial projects. Combining years of experience with a dedication to client satisfaction, Eagle Gardening Service has established itself as the local leader in Landscaping, Landscape Design and Lawn Care. David Berleth Landscape Architect, refers to a small firm designing landscapes for urban and rural residential properties in the Puget sound area. 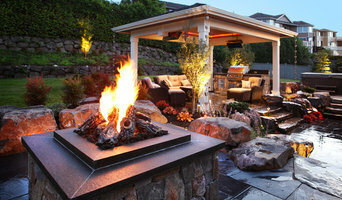 Welcome to SK Landscape, LLC., the regions best landscape design/contractor in the Puget Sound area! We have the knowledge and expertise to help you create and maintain your entire yard. We provide all kinds of affordable landscape services. Our goal is to make sure you are not only pleased with the finished product, but that it fits within your budget and exceeds all your expectations. We are a small, family owned and woman owned landscape design service located in Tacoma, WA. With our many years of work experience with a focus landscape design and installation, we know what it takes to make your yard looks the best it can. Let SK Landscape, LLC. design and install a landscape not will not only be eye-catching, but also cost-effective. 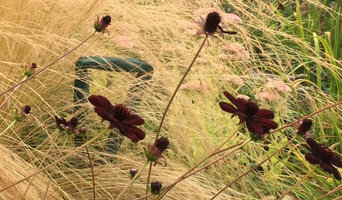 Garden Design, speaking, writing and workshops. ...inspiring gardeners to create! A landscape is often complex to design, hard to build, and is work to maintain. 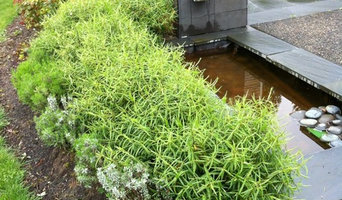 Plan-It Vision exists to provide knowledgeable landscape services so you can relax and enjoy your piece of the planet. Full Service landscape services provider. Elite Horticulture is founded on the ideas that we take the very best care of our customers and the landscapes that they entrust in designing /installing and caring for. We use the very best materials and products to do our job. Our trucks are logoed and employees are in uniforms. The team at Aesthetics 425 are dedicated and passionate about making sure you have (aesthetically) the surroundings you need. Myra Shoemaker began this unique decor business following years of experience learning the trade...the common thread being her love of people AND her passion for decor. She believes that any/all surroundings "can only get better" (whether it's a gorgeous potted plant welcoming you while having your morning coffee...an impressive orchidscape to greet your customers...the perfect centerpiece on the tablescape of your company event...'editing' surroundings primarily using the owners' belongings, etc. ), that it's all in the details. Myra's your point of contact and her attention to detail is one factor in the many satisfied customers who say things like: "I NEED you to come back again!" We are a husband and wife team of an ecologist and landscape architect who work on a wide variety of design projects in the Pacific Northwest. 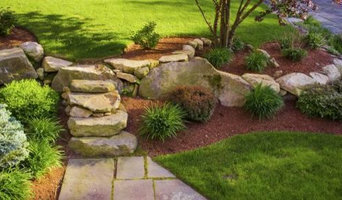 We offer the best landscape contracting services in Snohomish, WA. Please contact us for all of your landscaping needs! We specialize in generating real environmental solutions to enrich the environment. Our goal is to enhance the way people interact with their surrounding spaces while following the principals set forth by permaculture. Our inspiration comes from the untouched environment. Our designs imbue beauty, flexibility, and purpose. We offer many services from rainwater harvesting to landscape design and natural landscape maintenance.